England first innings 48 for no loss (Alastair Cook 20, Andrew Strauss 19) trail South Africa first innings 419 (Alviro Petersen 182, Graeme Smith 52, Stuart Broad 3-96) by 371 runs. South Africa smashed 419 runs after utilising 139.2 overs in their first innings at a run rate of 3.00 and England was doing well at 48 without loss when the play was stopped due to weather. 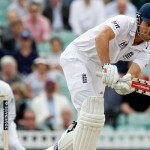 The second day of the 2nd Test came to an end on Friday, August 3, 2012, at Headingley, Leeds. Earlier, the Proteas started the day at their overnight score of 262 in 87 overs with half of their side back in the pavilion. 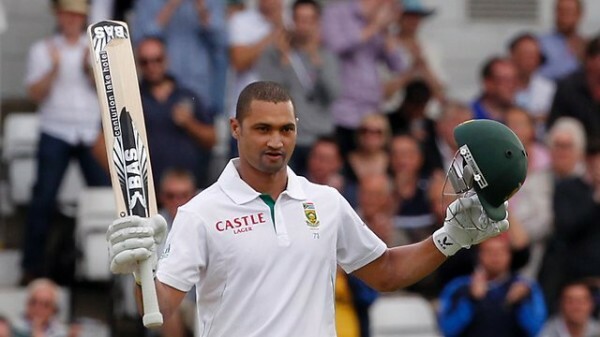 Alviro Petersen and Jacques Rudolph were the not out batsmen at 124 and 1 run respectively. James Anderson and Stuart Broad took charge of the bowling and the batsmen were unable to score any run in the first six overs. The duo tasted three boundaries in the over no. 96 and 97 as the 102nd over produced 10 runs. Petersen completed his 150 in the 105th over and 300 of the total was also posted on board. He opened his arms in the 109th over with a couple of fours and the batsmen enhanced the score to 318 when Rudolph was caught behind by the wicketkeeper, Matt Prior off Kevin Pietersen for 19 runs. Jean-Paul-Duminy joined in next with Petersen and the visitors reached 336 without any further loss at the end of the 115th over when lunch was taken. Alviro Petersen added two fours after lunch and became the next victim at his individual contribution of 182 when he was caught behind by Prior off Broad as the total touched 353. Vernon Philander came in next and tried to accelerate the runs rate by posting three fours but could not last longer and lost his wicket for 13 runs. Duminy took over as a senior partner, the later innings revolved around him and he tried to take the maximum strike as the wickets kept on sliding from the other end. He remained unbeaten for 48 as the innings of South Africa was folded back on 419 runs in 139.2 overs. Stuart Broad was the most successful bowler with three wickets, James Anderson and Steven Finn held two whereas Tim Bresnan and Kevin Pietersen shared one wicket each. England opened the innings with their regular authentic opening pair of Andrew Strauss and Alastair Cook who did not take any chances in the beginning but kept the score board moving. The score was taken to 31 after the end of the 10th over and the batsmen tried to grasp the boundaries as well. There was a rain interruption after the 18th over was bowled, no improvement was witnessed and the play was called off for the day. 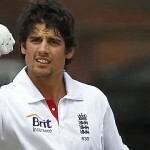 England managed 48 runs, Strauss and Cook were holding their ends with 19 and 20 runs respectively. South Africa used Morne Morkel, Vernon Philander, Dale Steyn and Jacques Kallis but none of them was unable to penetrate through the defence of both batsmen. The opening pair of England looks being in a good nick and will try to carry on like that on day three whereas South Africa will be anticipating a couple of quick wickets in the first hour of the play to get hold of the game.